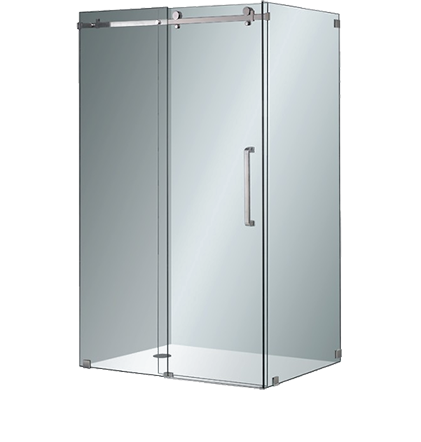 Design your own shower, choose the type of glass (transparent, sandblasted, patterned according to your specifications or smoked glass), door position and dimension of the cabin. Glass thickness is 6-1 o mm and all the sandblasted glass is protected with "Antiplaque" protective layer that prevents scale and other impurities on the glass. We produce showers with profiles, which makes the cabin more durable, longer-lasting and aesthetically beautiful. With profiles cabins have no water leakage between the glass and the wall. The hinges are excusively made of INOX, ensuring the durability of your shower cabin for a longer period.